I was first introduced to Vietnamese food when I lived in Washington DC. There is a large population of Vietnamese living in Northern Virginia and Vietnamese restaurants line the streets the way sushi restaurants do in Los Angeles. I have always been disappointed in not finding more Vietnamese restaurants here as I find Vietnamese food to be fresh, healthy and full of flavor. There is a large concentration of Vietnamese living in Southern California but most of the Vietnamese restaurants are located in Orange County and the San Gabriel Valley. Of course, in Los Angeles you can find a smattering of Pho shops but now you can also find a modern take on Vietnamese food at Khong Ten LA in West LA. Khong Ten translates to “no name” in Vietnamese. Co-Owner and Chef Kim Vu and her partner Don Andes called the restaurant “no name” as they were developing the concept. Don wanted the restaurant to have a Vietnamese name and ironically, on his travels to Vietnam, learned the meaning of Khong Ten. What started as an inside joke stuck and ultimately it is the perfect name for the restaurant. Coffee shops are everywhere. In addition to the chain stores of Starbucks, Coffee Bean and Peet’s that can be found on almost every corner, local coffee roasters and independent shops can also be found. But what about tea? Of course these places all serve tea, meaning they hand you a cup of super hot water and a tea bag that you will probably oversoak. A few will use loose-leaf teas and there are a few tea-centric spots around Los Angeles. 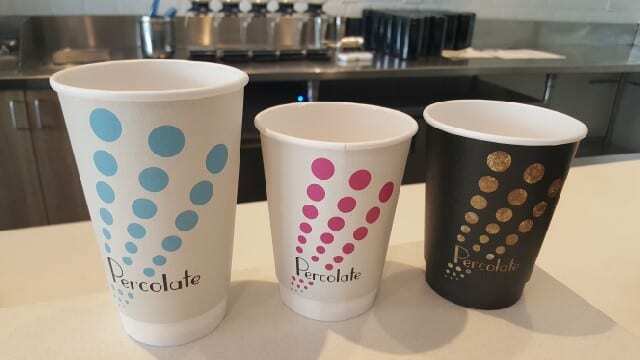 I just happened across the newest one that opened on November 1st and Percolate is the Please The Palate pick of the week. I was dropping off my dry cleaning in a strip mall near my house. I had not had my morning cappuccino as I was out of milk and had not gone to the market yet. There had been an okay coffee shop in the same strip mall but they had barely lasted one year. I figured I would have to stop at a nearby chain store to get my fix as I went along on other errands. But as I parked my car, I noticed people coming out of the old coffee shop with coffee cups in hand. 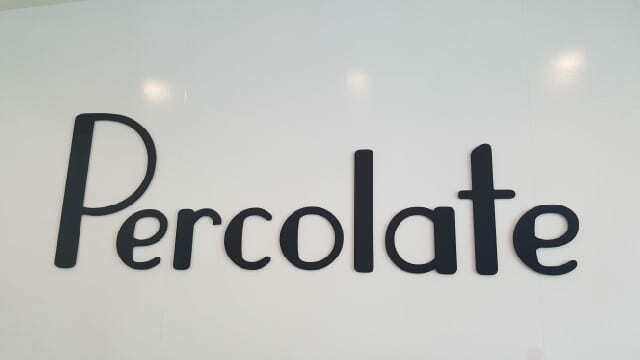 I looked closer and saw the sign Percolate, which I figured was a good sign!